To keep me quiet, my Mum would often buy a baguette, rip off the end and leave me be to happily munch away. No butter, spreads or anything in the middle, I was completely content with a piece of plain bread and the simple joys of crust and crumb. While to this day I could happily munch on bread by itself, it’s usually improved by a little extra something: mopping up a glut of unctuous pasta sauce, dipped in fruity olive oil or toasted and topped with anything from anchovies to avocado. Last week I shared a recipe for using up breadcrumbs. This week it’s a way to eat the bread itself. After successfully experimenting with rye flour in this delicious black pepper and fennel seed loaf, I was keen to try a recipe that used a more substantial ratio of rye. Often a little intense and dense on its own, I knew I needed something to lighten the load, and this recipe involving both wholemeal, spelt and a generous scattering of seeds felt like just the job. As a sandwich loaf, this bread is on the heavy side of good. 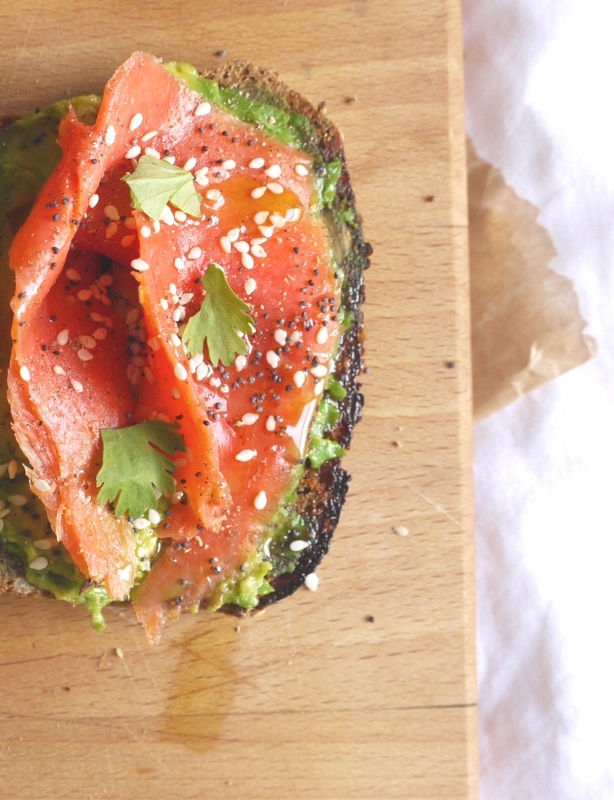 Sliced thinly and toasted is where it really comes into its own, the density taking on a crunchy, chewy texture which provides the perfect foil for creamy avocado and delicate, smooth smoked salmon. A sprinkle of poppy and sesame seeds adds another dimension while the whole thing is lifted by a squeeze of lemon and a little chopped chilli. Avocado on toast is one of my favourite meals in the world, a way to enjoy the very best bread with a glossy smear of nature’s rich green butter. Add a swirl or two of smoked salmon and you’re onto an absolute winner. Definitely an improvement on an unadorned crust of plain baguette. Preheat the oven to 180 degrees C. Place the seeds on a baking sheet and toast in the oven for 10 minutes before setting aside to cool. Turn the oven up to 200 degrees C.
Once the seeds are cool, set aside a small handful (to top your loaf) then put the rest in a bowl along with the water, maple syrup and yeast. Leave for a few minutes, then add the oil, flours and salt, mixing to form a firm dough You may need to add a very little more liquid. Leave the dough for 10 minutes then lightly knead for 10 seconds. Return the dough to the mixing bowl, cover with a clean cloth and leave for 45 minutes (you don’t want to overwork the rye as it doesn’t have the same gluten structure as wheat). Grease a large, oblong bread tin with olive oil. Shape your dough into a fat sausage roughly the same length as the tin, tuck the ends under then squash it firmly in. Brush the top with water, sprinkle on the reserved seeds then cover and leave until risen by about a quarter. You only want a slight rise here; any more, and the bread will crumble when it’s sliced. Bake the loaf for 45 – 50 minutes or until the base sounds hollow when tapped. Remove from the tin, cover with a cloth and leave to cool. Wrap well in paper and leave until the next day. Pop the rye bread slices in the toaster. While the bread is toasting, use a fork to coarsely mash the avocado in a small bowl. Stir in the chilli, a glug of olive oil, squeeze of lemon juice and scrunch of black pepper. Spread the avocado over the four slices of toast. Top with curls of smoked salmon, drizzle with a little more olive oil and sprinkle with the seeds. Garnish with a little coriander, if you like. Absolutely gorgeous – a particularly delicious breakfast, I’m sure! I love love love avocado toast, especially on homemade bread. I may now need to give your rye loaf recipe a try – I still have a bag of rye flour lurking in the back of my cupboard! I’ve not had huge amount of success with rye loaves before so interested to give this one a try – it looks so delicious especially with that creamy avocado on top! I really want to make that rye bread again now…I love the darker, more dense and nutty-tasting loaves. This looks like the perfect nourishing breakfast/lunch! I love the flavour of rye but I’m yet to attempt a 100% loaf – the last time I tried it was so heavy we had to toast it to make it edible! Lovely loaf! It looks especially tasty with all of the seeds. I’ve never heard of pumpkin oil! Does it taste very pumpkiny? Great combination of flavours too. I am vegetarian and smoked salmon is the only meat I miss! 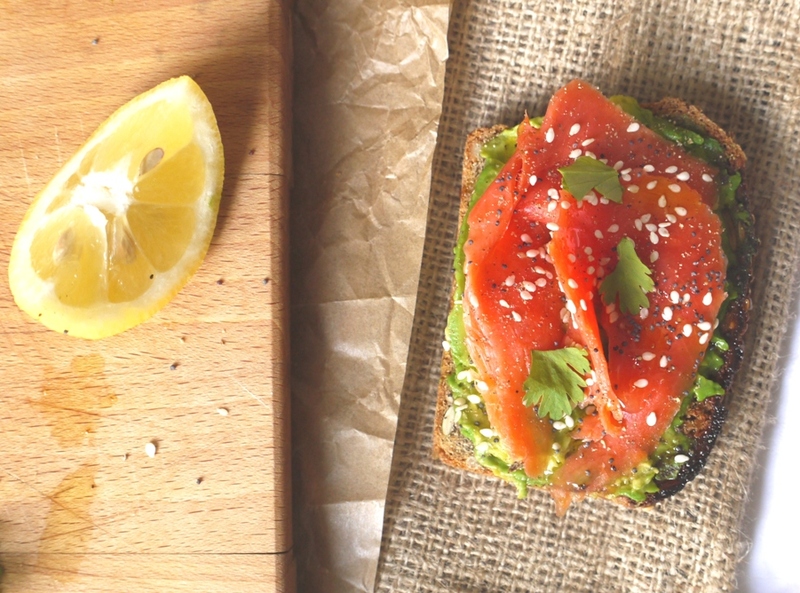 Vegemite and avocado are great on toast but even I have to admit it doesn’t come close to smoked salmon and avocado! I love the salmon/avocado/chilli combination. Beautiful 🙂 I make a lovely rye sourdough with 60% rye, wholemeal spelt, Egyptian gold wheat flour . The starter having been passed down thru three generations now. So cannot wait to add your topping to my bread for tomorrow’s breakfast. Yum! 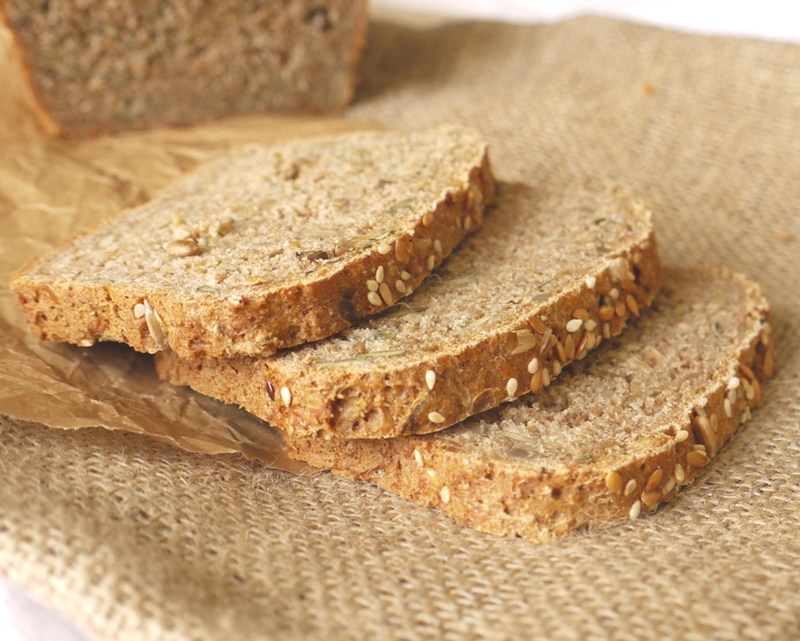 What a great sandwich rye bread recipe Kate! I make this type of bread for myself and freeze it. Then I have toast with whatever I fancy on top in a second. Avocado and sesame seeds, I love that. Super – another new one to try . I followed your spelt loaf recipe (from years ago) this weekend and have been devouring since. It really is lovely but I’m sold on this and will give it a whirl after I finish the crumbs from the previous batch. Really really great looking loaf. Avocado on toast is one of our favourite breakfasts but will have to try your rye bread as a change. I LOVE avocado on toast! With smoked salmon? Wow! Ooh, so pretty. Bread with things on top is truly one of the world’s greatest meals. I personally am not into smoked salmon–but I bet some amazing sushi-grade salmon would be so good here! Just like sushi on toast. YES. Very bad idea to be reading this at lunchtime, with no access to food, let alone this amazing open-faced sandwich! It’s lunchtime and you have no access to food? You need to rectify that immediately! I hadn’t thought to toast the seeds before putting them in, definitely going to do that next time I bake bread. Toasting adds a depth of flavour and extra crunch which I really love, definitely worth trying. Oh man do I miss rye! 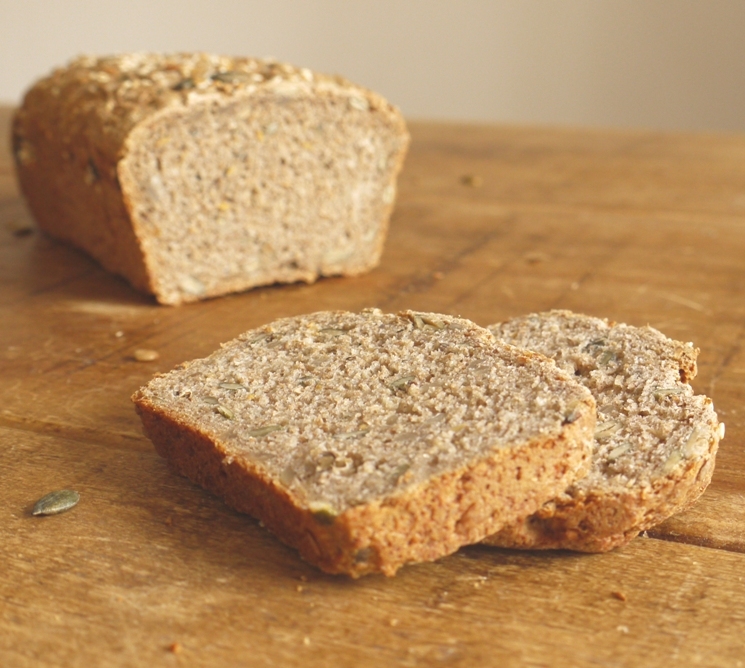 I love the tangy denseness of a good rye bread – yours looks just right. 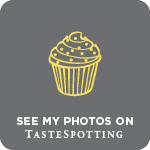 I’m so glad to discover u too, u have an amazing collection of recipes and rye is my fav loaf! Love the story of your mom and the shopping trolley as thats exactly what I do with my daughter, put her on the trolley and let her bite on apple! Its sslightly embaressing to admit it in public, but I still do that with the end chunk of a freshly bought bagutte. Normally on the walk home mind, you can get arrested for stuff like that in the supermarket. A luscious loaf and super topping selection! Ohhh this looked delightful even before I realized that was homemade bread…drooling! I love that you started with “littler loaf”, I just imagined a tiny loaf of bread with cartoon arms and legs walking around in my head and it was delightful. And this sounds seriously delicious! 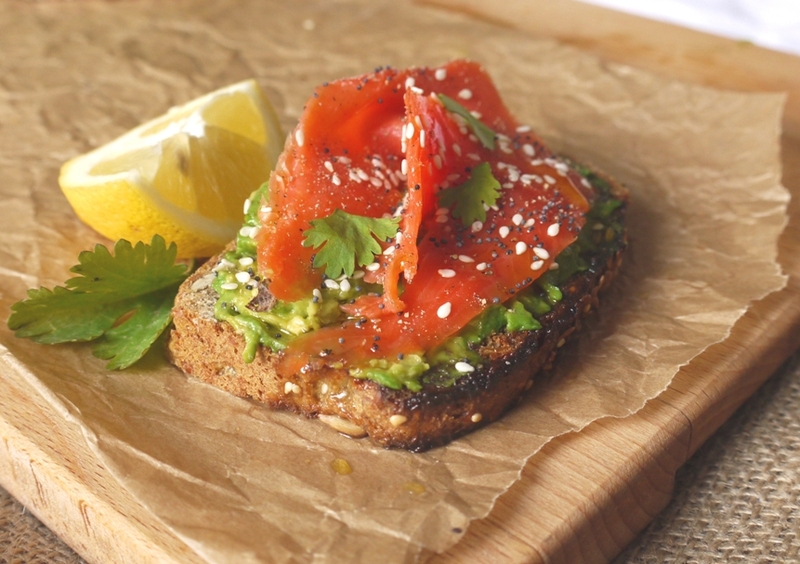 I have been obsessed with rye bread ever since I studied abroad in Germany, and avocado and smoked salmon always taste amazing together. Love this combination!! I can’t wait to make this bread and then the sandwich! Fabulous. ah, an excuse to add to my oil collection! I’ve not tried pumpkin oil before, sounds rich and yummy. Love avo on toast, best thing ever. I have been eyeing this and drooling over it all week. I finally made it Thursday night (not the bread, just the toppings, but I WILL make the bread, without a doubt), and let me tell you, we were humming while we ate it. Creamy, smoky-salty, crunchy. Thank you for your brilliance, Kate! I love getting feedback on my recipes. This one is so simple but so pleased you enjoyed it!